Sunday, January 22, 2017 will be observed as “Sanctity of Life Sunday” in parishes across the United States. The commemoration, which marks the 44th anniversary of the Roe v. Wade decision that legalized abortion in the US, serves as a prelude to the annual March for Life, to be held in the US Capital on Friday, January 27—one week later than usual due to the inauguration of President-Elect Donald Trump. See related story. 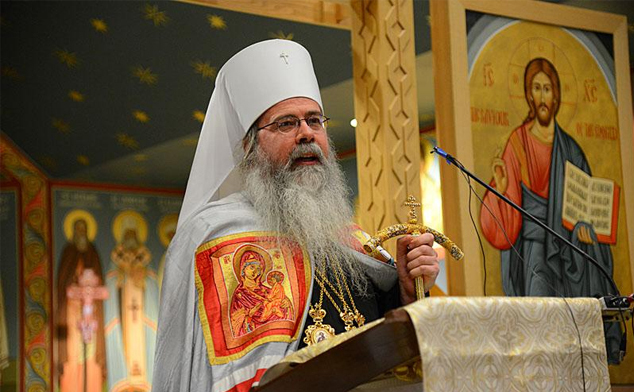 The complete text of Metropolitan Tikhon’s annual Archpastoral Message for Sanctity of Life Sunday appears below and is available for downloading and local distribution in PDF format. Also available this year is a video interview with Metropolitan Tikhon, produced by the Orthodox Christian Network, in which he shares his experiences at the annual March and clearly presents the Orthodox Christian tradition with regard to upholding life as a sacred gift from God. Updated information and resources related to the January 27 March will be posted on the OCA web site during the coming week. It is only with such corrected vision, with such purified thoughts and hearts that, later in January each year, we can turn our attention, with sobriety and indeed with sorrow, to the anniversary of the Roe v. WadeSupreme Court decision and all that it entails. This entry was posted in Featured News, News and tagged His Church, Holy Virgin, Metropolitan Tikhon, PDF, River Jordan by Orthodoxy Cognate PAGE. Bookmark the permalink.